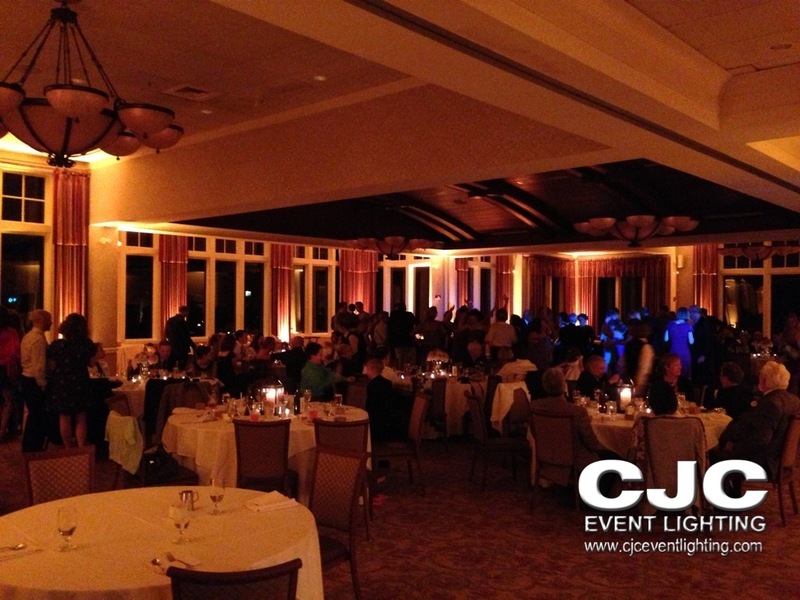 Blue and white were the colors we used to create a winter wonderland for this wedding. 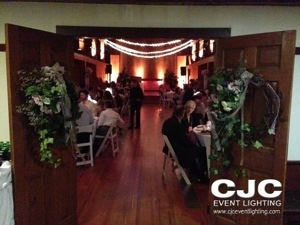 For the Ceremony at the church, we uplit the walls in blue and spotlighted birch trees with frost gelled white pars. 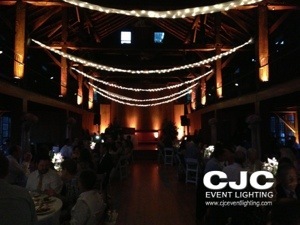 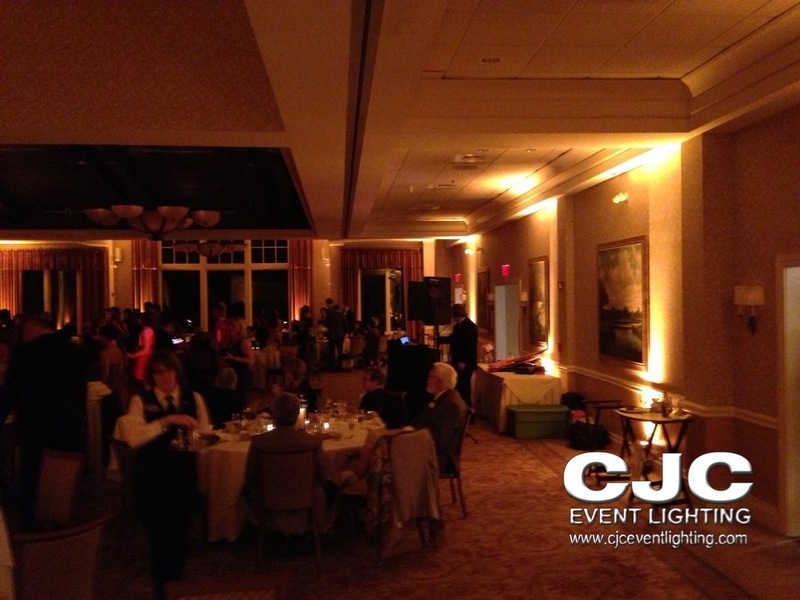 For the Reception, we transformed the Southampton Room at the Log Cabin with blue uplights, and pinspots.